I never intended to become a winemaker. I studied English at the Virginia Military Institute in the tiny hamlet of Lexington, Virginia and afterward moved to New York City to pursue a safe career in business. From my comfortable perch in midtown Manhattan, in a cubicle working for a global insurance company, my destiny ascending the rungs of corporate America seemed assured. However, a copy of Wine for Dummies interceded and became the catalyst for my winemaking career. I read Wine for Dummies cover to cover and began to pay attention to the wines served as lubrication for dry insurance deals completed over corporate lunches and dinners. I befriended a neighborhood wine merchant and attended a few pre-auction tastings at Sotheby’s with a colleague. I became fascinated by wine’s beguiling and magical history, creation, and constitution. Having a humanities degree and no interest in toiling in chemistry classes, I decided to pursue apprenticeships in winemaking. In 2001, I moved to California and started my first harvest. 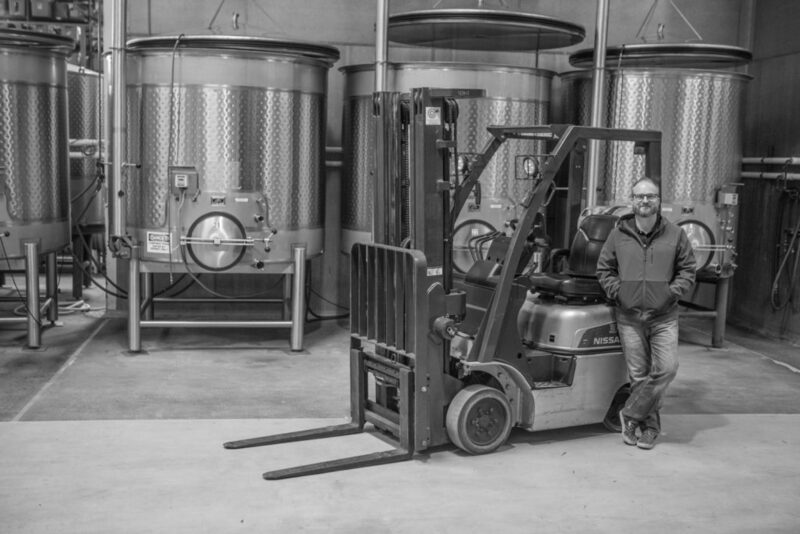 I worked for Copain Wines and its nascent custom crush winery. The winemaking bug firmly implanted, I flew to Australia and worked for Torbreck Vintners in the Barossa Valley. I followed that harvest stint with a year-long internship at Domaine Pierre Gaillard in Côte Rôtie. This two year sojourn gave me invaluable insights, skills, and educated my palate. No amount of classroom studies could compete with the lessons learned beside global artisan winemakers. I was propelled by the youthful energy of these winemakers, worked with vines over a century old, traversed schist and granite soils as steep as ski slopes, and absorbed the mechanics of winemaking on three continents. My compass set on creating my own brand, I returned to California and began a career in earnest. Once again, I took up with Copain Wines for a few years and then moved onto Paul Hobbs Winery. Five years after beginning my journey, I was the Associate Winemaker for Kosta Browne Winery and I launched Shane Wines. Since 2006, I have devoted my energies to building Shane Wines into a brand focused on purity and balance. I want my wines to show the exuberance of the variety and the nuance of their vineyards. I have worked hard to cultivate close relationships with growers and believe no great wine is made without the amalgam of site, soil, climate and management. My use of oak and extraction techniques is minimal – my wines show the essence of the variety, vineyards and vintage. I value tension, vibrancy, and structure. My wines will reward those with patience, but never fail to deliver early.